Employment law has seen many changes in the past year, and you won’t want to miss this opportunity to efficiently catch up on all of the latest developments, as well as a chance to gain insight about trends on the horizon. MCLE’s 17th Annual Employment Law Conference features expert practitioners who provide you with everything you need to know to keep your employment law practice up to date. Learn about the effect of new statutes, regulations, and MCAD and EEOC policies and procedures. Hear about current philosophies, assessments, and strategies in dealing with a variety of practical employment law issues. Customize the Conference by selecting from among the cutting-edge workshops that best fit your particular needs. Each registrant also receives a free copy of MCLE’s updated 2015 Massachusetts Employment Law Sourcebook & Citator—an essential addition to your desktop reference materials—a $125 value included in the Conference price! AGENDA | 9:00 A.M. – 5:00P.M. 3:00 P.M. - 3:50 P.M.
3:50 P.M. - 4:00 P.M.
Take this program and get this book—a $125 value—FREE! MCLE® ProgramAlert emails are delivered periodically to MCLE customers. To be removed from this type of mailing please click here, you will be prompted to send an automated email response to MCLE. 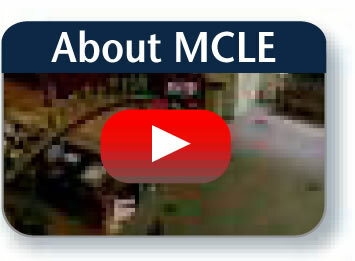 To be removed from all MCLE email lists, please click here. MCLE™, the MCLE logo, the tagline, "Keep Raising the Bar®", MCLE | New England®, MCLE | NE®, and the MCLE OnlinePass™ are trademarks of Massachusetts Continuing Legal Education, Inc.